Over at Rocks Fall, Everyone Dies a cunning plan is afoot to take five individual music videos from YouTube, create a setting seed from each then stick all of them together into a campaign. 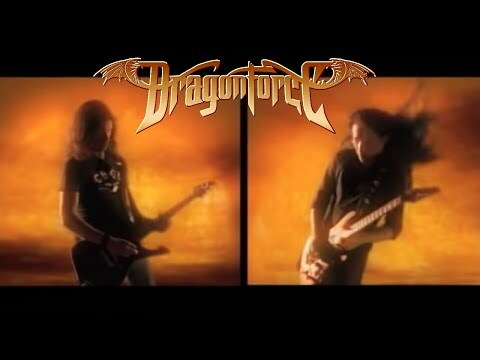 DragonForce - Operation Ground and Pound. Setting Seed: The wasteland is scoured by flying vessels raining down lightning on the land; setting fire to buildings and destroying anything that looks like it would blow up. Amid the chaos of the wasteland bards compete against each other at the behest of strangely-familiar entities to earn ethereal praises. Setting Seed: On the edge of a subarctic fishing town, a lone woman appears, held up like a marionette by a murder of crows tethered to each wrist. Those who approach see her death's head eyes and hear a voice cold enough to freeze hearts and a shadow that resembles a holy symbol. She is an amnesiac apostate who has become undead, yet who tries to seek her lost identity and be laid to rest. Setting Seed: In an opulent manse, a dabbler in strange sciences succumbs to madness from taking an elixir that lets him see his dead son. With vultures and strangely-garbed companions, he stalks the party with daggers made of icicles through frozen rooms, chases them through a garden maze to a rooftop battle finale. Setting Seed: A demihuman mining community is dominated by a beautiful yet terrible enchantress with a drug habit. The demihumans adore her and will resist attempts to oust her despite her ways. Will the party overthrow her tyranny despite their adoration of her? Setting Seed: The party attend a noble court where a band of knights boast of their exploits and of the coming battle against an enemy. They fully intend for the party to be allies on the battlefield - will the party join in the battle or will they decide which side they're fighting for? The party are invited to court and given the choice to fight in a glorious battle or risk accusations of cowardice from the court. They're sent to investigate the mystery of a women held up like a puppet by a murder of crows, discovering she is undead they can either engage in combat or lay her to rest. A reclusive sage has the answers they need but he is driven mad by the green drug that lets him see his dead son. In his house the party learn of a dire threat to an allied realm where strange flying vessels destroy the land and that the vessels are coming towards their homeland. News of his death must be brought to his sister, the owner of a mine run by demihumans who in her grief becomes a tyrannical addict who must be saved or overthrown. The only way to defeat them is to unite a band of bardic rivals, storm one of the vessels using an artifact found in the sage's house that flickers with lightning and banish the strange vessels to another world. Music is a wonderful spur and the videos help establish a look and feel. 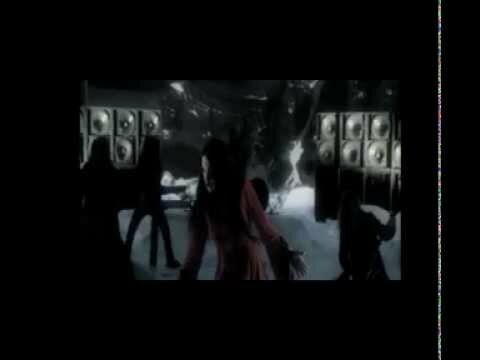 What's on your playlist and what campaign can you come up with?